In the biggest overhaul since the 1970s, the Government has announced the extension of the Blue Badge scheme to include people with hidden disabilities (which includes autism and mental health conditions). This change is due to the current rules being open to interpretation. The extension of the scheme has been praised by charities, including Mind and the National Autistic Society. Isabella Goldie, director of Mental Health Foundation, said: ‘It is also another step to creating a society in which we take mental health problems as seriously as we take physical health problems and create real parity between the two’. This announcement is part of a wider inclusive transport strategy to improve transport for those with disabilities. 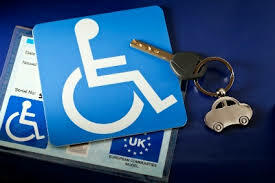 Backed by £300 million funding, will improve accessibility across all types of travel for those with disabilities. The strategy includes investment in road and rail access and to produce league tables which highlight the best and worse operators.